Since our article, 32 radical Jews you really need to know, was published, you’ve flooded us with suggestions for more radical Jews who should have been included in the list. It’s quite likely that the number of Jewish people who’ve been involved in activity to make the world a better place is never-ending. Here’s a sample of some of the best suggestions we’ve had from commenters. Of course, feel free to leave your own suggestions at the bottom of the article. 40. Let’s begin with homegrown East-Ender, Anna Mendlessohn. She was an anarchist in the Angry Brigade, who lived in squats across much-loved parts of Jewish North London, including Stoke Newington and Stamford Hill. She was stitched up by the police with accusations of conspiracy to cause explosions, and spent four years in jail for it. She subsequently devoted her life to poetry and art. 39. Isaac Yeshurun Sasportas, from Portugal, was hanged by the British in Jamaica around 1799. He’d gone there as a French agent, hoping to raise a slave revolt similar to Toussaint L’Ouverture’s in Haiti. The French described him as “une espèce de juif errant”. 38. 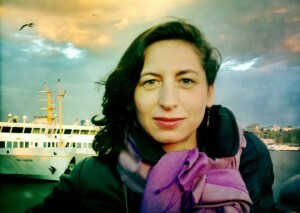 Roberta Kalechofsky is a vegan animal rights activist, based in the USA. She leads Jews for Animal Rights, campaigning for vegetarianism within the community, and alternatives to animal testing. 37. 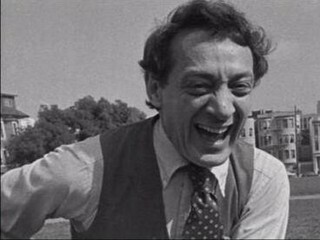 I’m not sure how I managed to forget Harvey Milk last time. He was an activist for LGBT rights, and the first openly gay man elected to office in California. He was assassinated by an embittered political rival, and became an icon and martyr for the American LGBT community. 36. Bartolomjew Beniowski was a major in the Polish insurrectionary army against Czarist Russia, then came to Britain and became active in the Chartist movement. 35. Gilah Kletenik is at the forefront of Orthodox Jewish feminism. She’s a functioning rabbi, halakhic scholar and equality activist. 34, 33 and 32. Here are three who rode with John Brown (the one whose soul goes marching on ) against slavery in Kansas. Theodore Wiener, from Poland; Jacob Benjamin, from Bohemia; and August Bondi (1833-1907), from Vienna. “No more Pharaohs and no more slaves”, wrote Bondi, whose ideas had been awakened by the 1848 revolutions in Europe. He assisted runaway slaves in the “underground railway” before going on to serve in the Union army in the Civil War. 31. 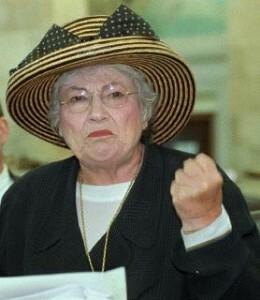 Bella Abzug was an American Jew of Russian descent, whose earliest recorded act of defiance, aged 13 was reciting Kaddish in an Orthodox shul every week for her father. She became a trailblazer for women’s rights and, as a lawyer, represented civil rights cases, challenged for black people denied justice, promoted gay rights and opposing the Viet Nam war. 30. In a similar vein, Gloria Steinem was a leader of the women’s liberation movement through the 1960s and the 1970s. She campaigned for abortion rights and women’s labour rights. 29. Osip Piatnitsky was a Litvak tailor, sentenced under the Tsars to life in Siberia for his union activities. He smuggled clandestine literature for Bolsheviks and became a leading figure in the Comintern until he was purged and executed by Stalin. 28. 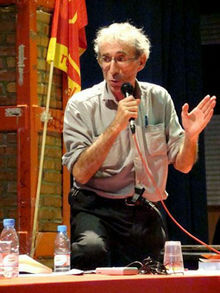 In Paris, 1968, Daniel Bensaid emerged as one of the leaders of the counter-cultural uprising. His family were Sephardim from Algeria. He remained a dedicated communist leader throughout his life. 27. It’s hard to think of anyone with such a colourful and international life as Leopold Trepper. Originally from Poland, he moved to Galicia to organise strikes in the mines, then moved to Palestine with Zionist socialists to oppose British imperialism. He then went on to lead the anti-Nazi “Red Orchestra” spy network for the Soviet Union, during the Second World War. The Nazis caught him and, after a stint in German jail, handed him over to the Soviets, who also imprisoned him. He died in 1982 in Jerusalem. 26. 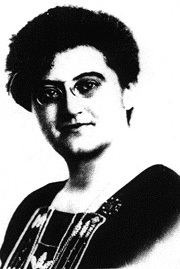 Rosika Schwimmer was a pacifist from 19th Century Hungary. She tried to promote world peace and even stop the First World War. She toured America, agitating for peace talks on neutral ground, and trying to convince world powers against war. She was instrumental in setting up the first ever International Criminal Court. 25 and 24. Andrew Goodman and Michael Schwerner were murdered by the Ku Klux Klan in 1964, alongside their Black comrade, James Early Chaney. Their crime? They were trying to register African Americans to vote and set up schools for Black people in the state of Mississippi. They were lynched for standing up for justice. 23. Jose Aboulker was an Algerian Jew, who led the November 1942 rising against Vichy regime in Algiers. He led the anti-Nazi resistance in North Africa and went on to join the Free French Army in London. After the war, he became a neurosurgeon and joined the French Communist Party. 22. 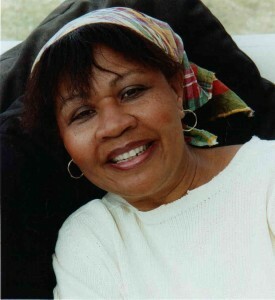 Jamaica Kincaid is by far one of the most incredible anti-colonial authors I’ve ever read. Her beautiful insights in books like ‘A Small Place’ provide an incredible way of thinking about imperialism, racism and capitalism. She’s from Antigua, and converted to Judaism in 1993. 21. Henry Curiel was an Egyptian Jew, who helped found the Egyptian and Sudanese Communist parties. He was exiled from his home country in exile, from where he supported Algerian and South African struggles. In 1974, he tried to broker peace negotations between Israeli and Palestine. Watched and probably targeted by more than one intelligence service, Curiel was assassinated in Paris in 1978. 20. Back to home turf. Henri Alleg came from London’s East End. Henri went to Algeria in 1939, but was dismissed from his teaching job under Vichy antisemitic legislation. He became a journalist, editing Alger Republicain, the only newspaper to advocate for communism and Algerian independence. 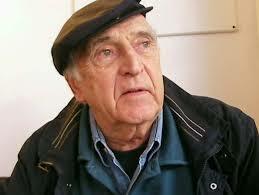 He was arrested and tortured by French military in the 1950s, although no charges were ever brought against him. He escaped prison and died in France in 2013. Zikhrono livrakha. 19. What a blessing is the memory of Ruth First. She was an anti-apartheid activist in South Africa, from Johannesberg. Early in life, she followed in her parents’ footsteps to join the South African Communists and became friends with Nelson Mandela and the Mozambique liberation campaigner, Eduardo Mondlane. She worked as a journalist, writing to expose the injustices of racism. She actively campaigned for the abolition of the apartheid system, for which she was imprisoned, exiled and finally, in 1982, killed by a parcel bomb addressed to her. 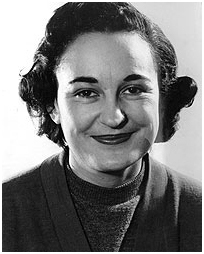 Her husband, Joe Slovo, also Jewish, fought alongside her, and was Nelson Mandela’s minister for housing in the first post-apartheid government. 18. Benny Rothman was one of the leaders of the 1932 Mass Trespass on Kinder Scout in the Peak District, for which he was sent to prison. The Peak District later became Britain’s first national park, and Benny is credited as a pioneer socialist who opened up right of way in the English countryside. So next time you’re out in the country, raise a glass to Benny and his pals who opened up the paths! 17. Azenath Barzani, born in Kurdistan in 1590, may well have been the first woman rabbi in the world. Myths abound about her abilities and powers, including fables that she could freeze rapists in their tracks and limit her own childbirthing. So perhaps she a mystical forerunner of feminism too. 16. Justine Wise Polier was the first woman to be a judge in New York. The daughter of anti-racist labour activists, she used her position to fight for the poor and oppressed. She campaigned for women workers, secularism, abortion rights and the rights of children. 15. Hailing from Curacao, Peru, Daniel de Leon was a labour militant and leader of the Socialist Labour Party of America from 1890 to 1914. He was a Latino Marxist lawyer in the American Deep South. His polemics had a profound influence on the later giant academic, Antonio Gramsci. 14. Who knew that the author of Little Women was a Sephardi radical? I sure didn´t. But there´s some really interesting research to show that Louisa May Alcott was a Jewish anti-slavery and feminist activist. 13. One of the UK´s first ever lesbian rabbis, Sheila Shulman founded the UK´s first ever LGBT synagogue, Beit Klal Yisrael, in 1990. She´s been an avid proponent of queer people and women in the Jewish movement. Todo raba, Sheila! 12. If Mikhal Klepfisz hadn´t existed, Jewdas would have had to invent him. He was a Bundist activist and chemical engineer in Poland. He fought in the anti-Nazi Jewish Combat Organisation as part of the Polish resistance to fascist occupation. He was murdered in the Warsaw Ghetto Uprising. Hashem yinkom damo. 11. Meanwhile, in early 20th century East London, Sarah Wesker became one of the most notorious trade unionists of her time, heading up the predominantly-Jewish tailors’ unions. 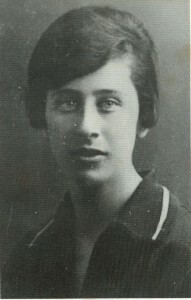 She led several mass strikes, made huge advances in the inclusion of women in labour struggles and became a central member of the Communist Party. Incidentally, if you’re ever in East London and want to hear about its incredible radical history from somebody who really knows, you should really go on one of David Rosenberg’s famed walking tours of the area. 10. Mauricio Rosencof led the Tupamaros guerillas in Uruguay, fighting for communism and national liberation. In 1973, a military junta launched a coup, established a dictatorship and threw Rosencof in jail. He was tortured and wasn’t release until the collapse of the regime in 1983. Still going strong, he’s writing and heads up the Department of Culture in Montevideo. 9. Ever heard of Baruch Spinoza? Bit of a dude, it seems. He was actually excommunicated from the Jewish community for suggesting – horror of horrors – that G-d was present in all things. This 17th Century Dutch Sephardi completely laid the groundwork for the Enlightenment era. I don’t want to write any more on that for fear of writing absolute nonsense, because you know how pedantic philosophers can be about their own. 8. 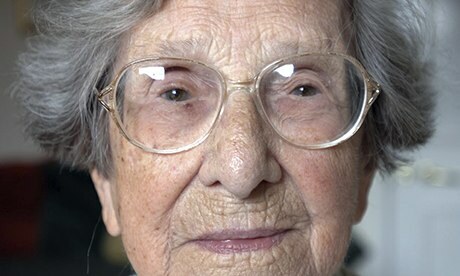 Almost every country in the world’s history has been impacted by Olga Benario Prestes. She was born in Germany in 1908 where, as a young teenager, she first joined the Communist Youth International. She then went on to organise in Czechoslovakia and the USSR. She went on to Western Europe to promote anti-fascism and, in Britain, was arrested. After this, she was assigned to Brazil to act as a bodyguard for her future husband and leader of the socialist opposition, Luis Carlos Prestes. She was deported by the Vargas dictatorship to Germany, where she was gassed in the Ravensbruck concentration camp. Zikhrona tzedek livrakha. 7. Phil Piratin was a Communist Member of Parliament in the UK from 1945 to 1950. He was motivated to join by his early experiences of Oswald Mosley’s fascist party in Stepney. 6. You might take it as given now that a woman has the right to choose birth control, but when Ukrainian Rose Witkop tried to promote this right to working class women, she was prosecuted for it. An anti-war activist and anarchist, she died in London in 1932. 5. Who’s the only socialist Senator serving in the USA? Why, Bernie Sanders, of course! He’s an independent, representing the state of Vermont. 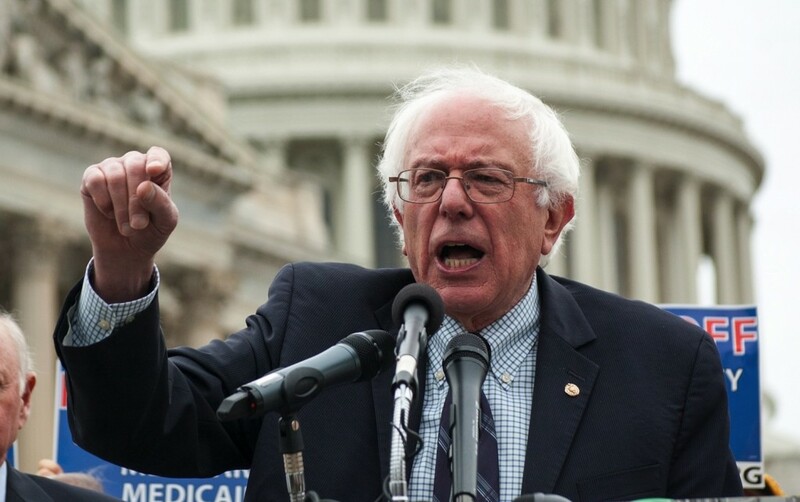 He campaigns for the environment, healthcare reform and social justice. And, what a macher, he’s tipped to run for President of America in 2016. 4. ‘Gallo’, born Luigi Longo, was the leader of the Italian Communist Party from 1964 to 1972. He fought against Franco in the Spanish Civil War, opposed the Vichy regime in France and commanded the Garibaldi Brigades in the Italian resistance movement against Mussolini. He went on to serve in successive Italian parliaments, consistently opposed nationalism to promote an internationalist socialism. 2. Abraham Leon, born in Poland, led the Trotskyist movement in wartime Belgium. Aged only 26, he wrote “The Jewish Question: A Marxist Interpretation“, a work that is still incredibly influential. 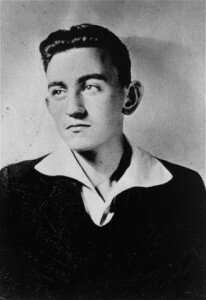 He was murdered by the Nazis in 1944, in Auschwitz. We honour his legacy, and the legacy of all those who fought and died for progressive Jewish values. 1. Of all these radical Jews, perhaps the greatest of all is Geoffrey Cohen. Geoffrey agreed and disagreed with everyone on both these lists. Geoffrey is a vegan and a rebellious bacon-eater; an African anti-imperialist and a Russian feminist; a pacifist and a guerilla insurgent. He’s the most serious satirist you haven’t ever met. She´s Ethiopian, Ashkenazi and Sephardi; a recent convert from Shanghai. Geoffrey is a man and a woman and genderqueer. Geoffrey is every Jew, living and living on, who has chosen to resist reactionary orthodoxy. In other words, Geoffrey Cohen could be you. Join the Jewdas Brigades and become active in the struggle for a radical, Diasporist Judaism. Anyone missing? Feel free to add your friends, family and neighbours in the comments. I notice you all speak of being vegetarians..the bible notes that those whose religion is against eating meat..ARE FOLLOWING THE DOCTRINES OF DEVILS..